Lawrence is a Sales Manager and Training instructor at Leading Edge Business Solutions (Pty) Ltd since April 2008 and has been a technical instructor since 2004. Lawrence combines technical knowledge with good communications skills and consistently receives enthusiastic reviews from his students. 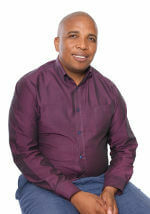 Lawrence has trained in all 9 provinces of South Africa as well as in the DRC, Botswana, and Swaziland. Selling, Presentation, Communication, Time Management & Anger Management. $450.00 If you are currently resident in South Africa you will need to pay VAT at 15%. New and potential office workers.